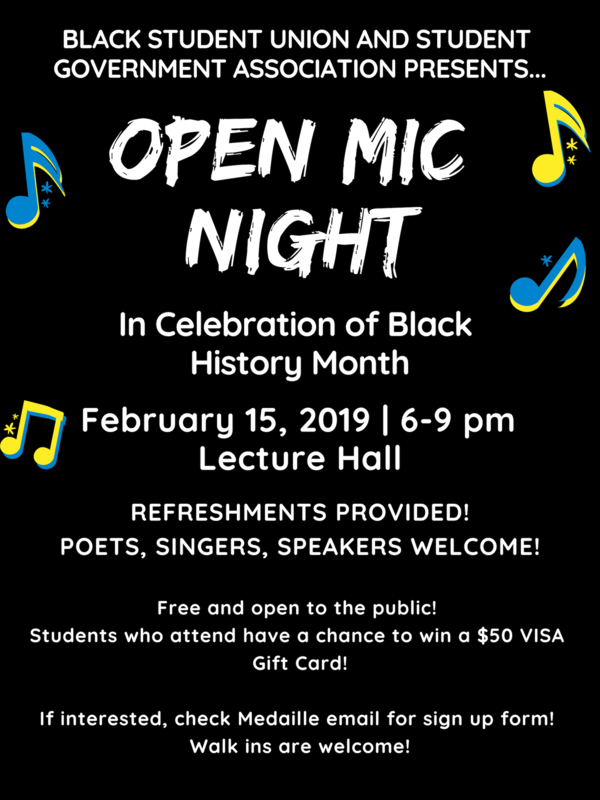 Medaille College Black Student Union and Medaille’s Student Government Association are hosting an Open Mic Night in celebration of Black History Month on Friday February 15, from 6 to 9 p.m.
We are opening the floor to not only students but to faculty, staff, alumni and others to perform at Open Mic Night (singers, poets, and speakers)! If interested, sign up here, or in Student Development (2nd floor Sully). Admission is free, and Medaille students who attend have a chance to win a $50 VISA Gift Card!